Saturday was a little grey here in Portland…but it was bright. My husband and I parked near the Eastbank Esplanade to see if we could get a few photos for my website (www.amymunsey.com) and for the business cards I need to get printed up pronto. 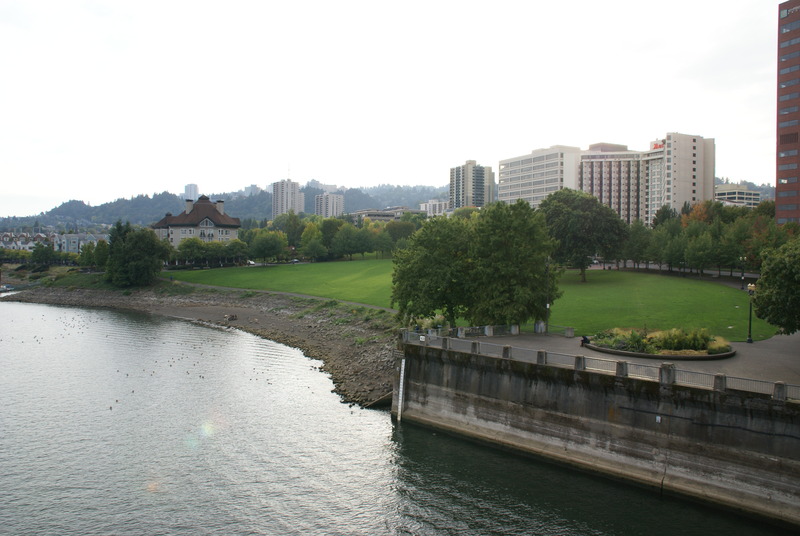 We parked near one of the entrances to the Esplanade, near the life-size statue of the great and wonderful Vera Katz (who also happened to be a former mayor of the Rose City) and walked until we found a good place to begin. Sure, we passed a few homeless folks who set up camp near the port-potties…I can’t say I blame them. I t makes sense to me. The wind was blowing a little but we got a few good shots. Still, the light wasn’t right. We walked up across the Hawthorne Bridge and that was when the fact that I am home really set in. I love the Hawthorne Bridge. When we lived in the Queen Anne Victorian on 14th and Taylor Street, the Hawthorne Bridge was the distinctive landmark that was the obvious point of beginning for so many sets of directions given to family and friends who were trying to make it to our house from who knows where. I walked across it in the snow one Winter to get to work because my car was snowed in and the busses were sporadic. I rode across it on countless bike rides enjoyed with my husband and walked across it on a regular route we used to stroll on weekends. Those walks often ended at the Daily Cafe’ in Rejuvenation House Parts on Grand with a warm latte’ and a sandwich that tasted like heaven. Hearing the cars buzz across the steel grating and looking up at the huge concrete counterweights that lift both sides of the bridge span to make way for tall masts to pass underneath was almost cathartic. I could smell the river beneath and stopped to watch a man in a speedboat cutting loop-the-loops through the surface of the water. People were enjoying the amphitheater and the fountain was running high. 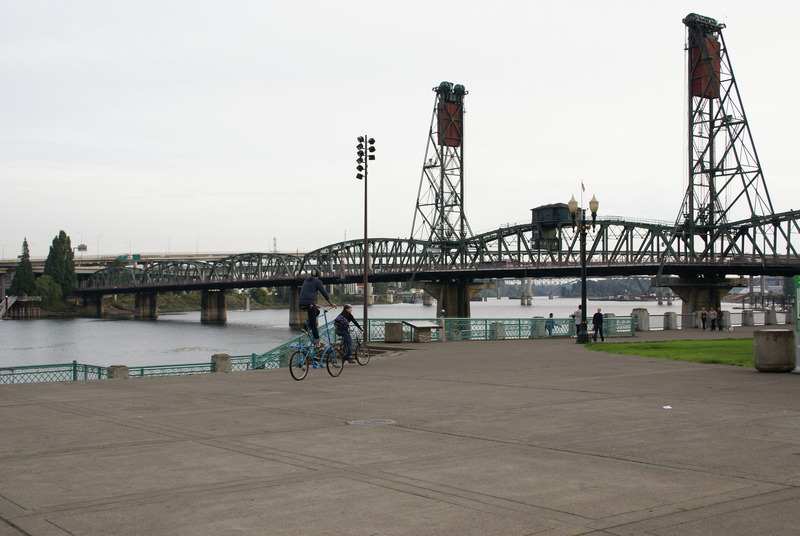 The Hawthorne Bridge is beautiful. If you are not from Portland, I can tell you the city is all about the river. Streets parallel it and several bridges serve car and bicycle commuters, and those who walk to the places they need to be. 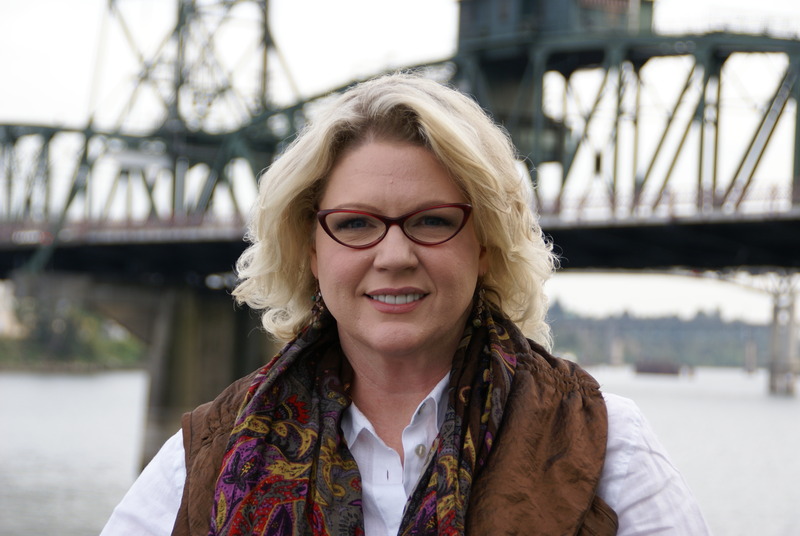 Will you need to take the Sellwood Bridge? Are you going to Sellwood or Milwaukie? Do you need Powell on the other side of the Ross Island Bridge? Or are you staying on I-5 across the Markham Bridge to get onto I-84 on the other side? 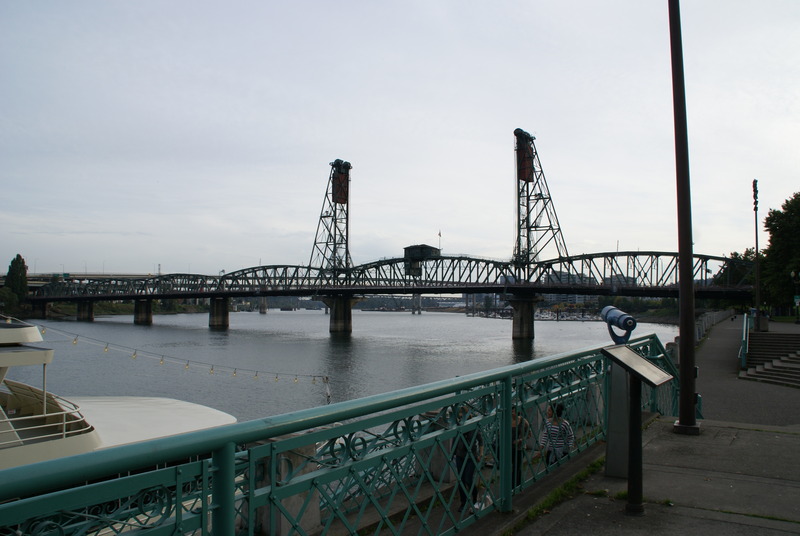 There is the Hawthorne Bridge, the Steel Bridge, The Broadway Bridge, and the gorgeous and Gothic St. John’s Bridge. That is a stunning bridge. 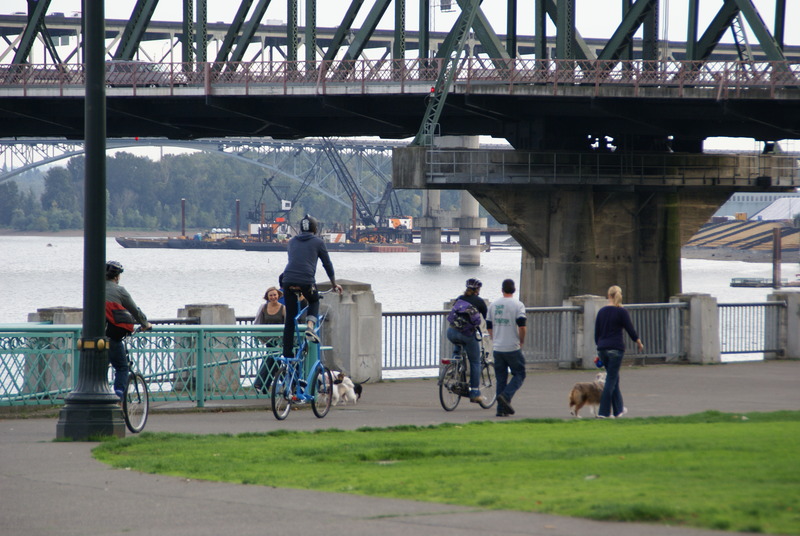 Here, it all about getting across that river, the Willamette River to be precise. We loitered on the Westbank Esplanade for a bit and my husband found the shots we were looking for. 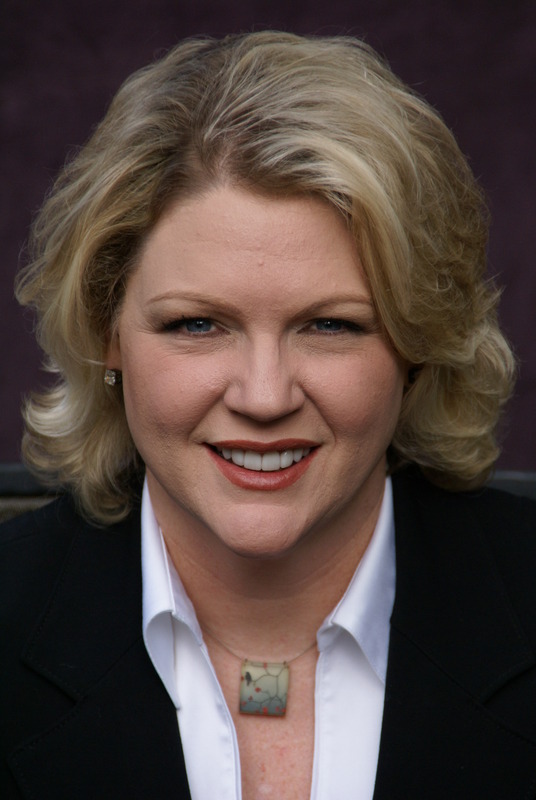 Photos are an important part of a Realtor’s effort to let you know who they are. For this reason, many put a lot of thought into the photos they present of themselves, to the world. I hope you all know I love this place. If I don’t believe in something, I can’t honestly sell it. For me, Portland is an easy sell: We have cafe’s galore, food carts that serve delectable dishes that are so good they’ll make your toes curl, awesome bikes to ride, hundreds of miles of designated bike route, a lush, green landscape, a dizzying array of award-winning restaurants, art galleries, museums, public libraries, a vibrant creative community, a world-class Orchestra that recently wowed the crowd, and critics(! ), at Carnegie Hall, an award-winning Ballet Theater, live theater, smaller orchestras and quartets, a gaggle of remarkable Burlesque and Vaudvillian performers and venues, beautiful open spaces, huge parks, urban community gardens, walking paths, hiking trails, micro-brewed beer, a growing fashion industry (before you giggle, remember that three Project Runway winners are from this area!) and small boutique stores run by local people who also love this place. And it’s green. And lush. And we have beautiful trees…everywhere. The Ginkos in the Park Blocks are spectacular this time of year. Don’t forget to look (way) up and admire that glowing gold the leaves turn this time of year. If you’d like to see other reasons to live in this wonderful place, call me! We’ll go look at some houses together.